Klaus Tritschler has over 18 years of experience in premium transportation design, ranging from aircraft and yachts to powersports. At ICON, Klaus is responsible for interior and exterior design as well as user experience and consumer touch points. 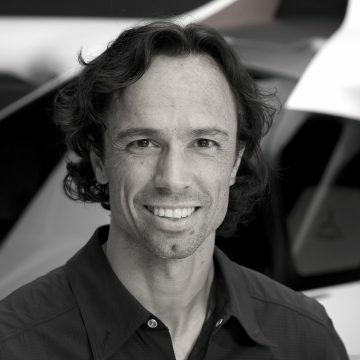 Prior to joining ICON, he was an integral part of the creative leadership at BMW Group DesignworksUSA, leading his teams in developing strategy and quality design solutions, which resulted in several prestigious design awards from projects such as the Embraer Phenom 100 and 300 jets and the Intermarine 550 yacht. In 2003/04, Klaus worked at BMW Motorrad in Munich, designing the award winning F800S and ST. Klaus received his BA in Industrial Design from the University of Wuppertal in Germany in 1993 and began his design career at Johnson Controls’ Automotive Division before moving to California in 1994.